The Military Service Act passed on 1 August 1916 had made all healthy New Zealand men of military age (20 to 45) liable for active service overseas. Conscription was introduced because after two years of war too few men were volunteering to fill reinforcement drafts for the New Zealand Expeditionary Force. Government Statistician Malcolm Fraser supervised the first ballot of about 4140 men. The process took more than 20 hours. Choosing each man involved rotating two drums containing marbles. The marble Fraser chose from the first drum directed him to a drawer, and the marble from the second drum denoted a card in this drawer. 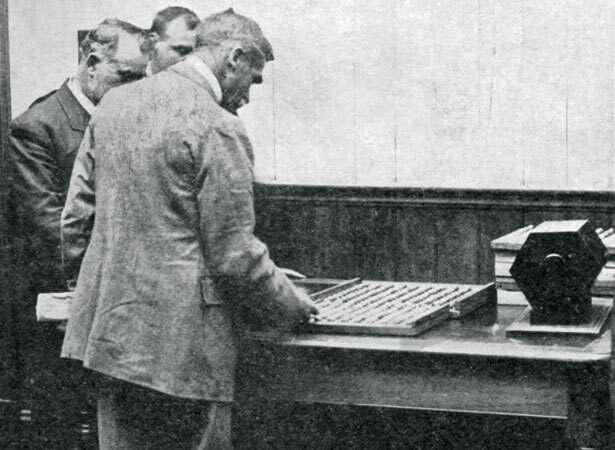 Each card was turned upright and a magistrate attested that it had been fairly balloted. The mayor of Wellington and a representative of the local Trades and Labour Council were present as observers. The men had to be delivered their call-up notices in time to appeal within 10 days if they wished to. The Recruiting Branch of the Defence Department worked in shifts through weekends to complete the necessary clerical work. We have 8 biographies, 23 articles, related to First conscription ballot.